For the non-history-minded, this recent PBS series may be too big a pill to swallow. But for those drawn to the antecedents of 21st century politics, there is much to like -- history even more dramatic than our own -- plus plenty of domestic drama, politics, and the making of the West. 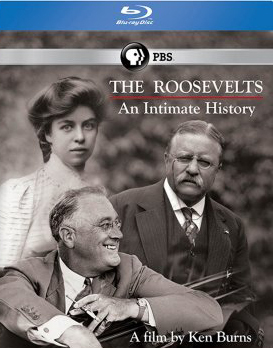 The series is a refresher on World Wars I and II, the Great Depression and recovery as acted upon by our greatest family dynasty -- the Roosevelts. 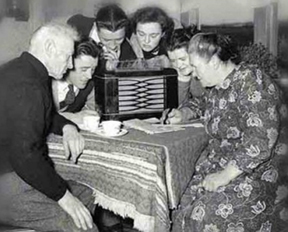 Full of family neuroses and 'yes we can' progressivism, it is told mostly with still photography, narration by Peter Coyote, and voices of actors Meryl Streep as Eleanor Roosevelt, Edward Herrmann as Franklin Delano Roosevelt, and Paul Giamatti as Theodore Roosevelt (in descending order of effectiveness). 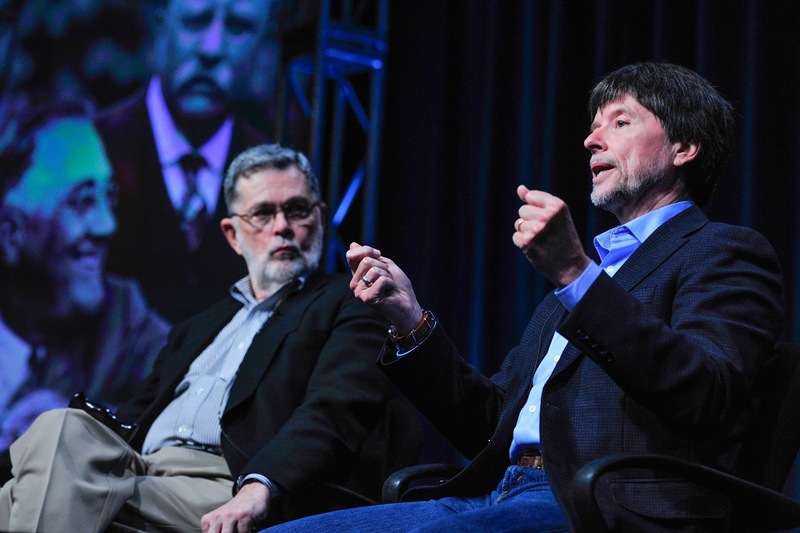 The series was written by Geoffrey C. Ward, historian and writer (above, left), and produced and directed by Ken Burns (above, right), who once again manages to make old stories come alive. The PBS series premiered on September 14, the anniversary of vice-president TR's ascension to the presidency on the assassination of President William McKinley, September 14, 1901. Twentieth century Roosevelts, rich and patrician, were imbued with doing good that took the form of advocacy for more/better government and social policy. TR's was the Gilded Age of robber barons, boss politics, and income inequality; the efforts of all three Roosevelts to right the imbalance changed the relationship between government and people. The bold Roosevelts deserve Shakespearean treatment to convey the liveliness of their place on the stage, but Ken Burns and his minions do an engaging job in documentary form. We know FDR's ambitious legislation that spurred recovery from the great depression of the 1930's, launching the social welfare infrastructure we have today (under bitter assault from then to now by Ayn Rand-imbued Republicans) and his robust leadership of the US role in WWII from his command post in a wheelchair, a polio victim at 39. We know that his wife Eleanor's liberal feminist and civil rights politics continued beyond her husband's death until her own in 1962, advancing human rights and the birth of the United Nations. 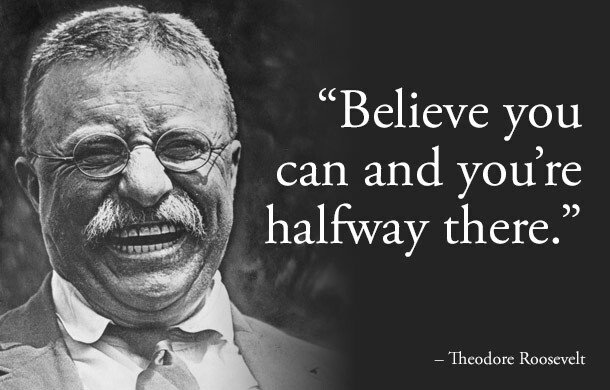 But more hidden in the veil of history is the manic, whirlwind dynamism of Teddy Roosevelt (above). Senator Elizabeth Warren served up a TR trust-busting moment in our own gilded age of income inequality when she excoriated deregulation of a few big banks recently. 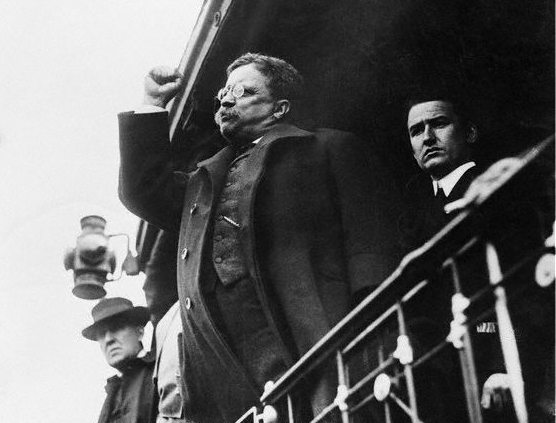 TR (1858-1919) is interesting now because his Roosevelt branch was thoroughly Republican, yet TR was radically progressive -- he believed that government was needed to manage the modern industrial state, regulate Wall St and corporate corruption, and help the needy. His Bull Moose platform created the base upon which his Democratic cousin FDR later built the New Deal. TR dropped out of law school to became a NY state assemblyman at a time local politics was no-way a gentleman's vocation, aiming to reform boss politics. A naturalist, he stormed the West and launched the conservation movement, also authoring a four-volume saga called "The Winning of the West". On the other hand, TR had a John McCain-like commitment to a strong defense. His isolationist opponents called him an "egomaniacal, warmongering imperialist". 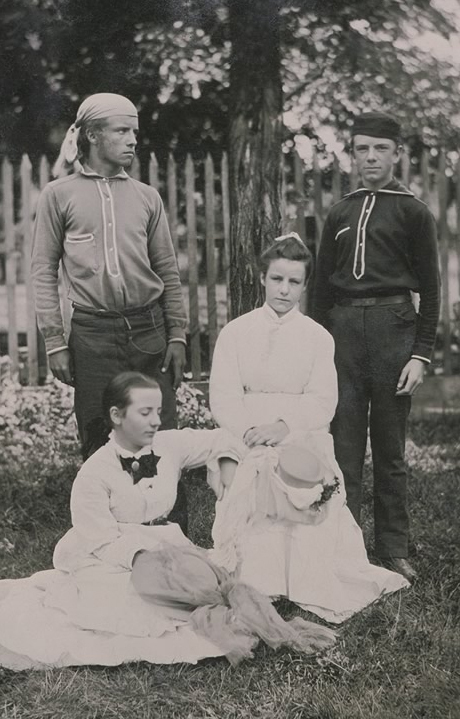 In the photo at left are shown, left to right (standing): TR and brother Elliot, and (seated) friend and later second wife Edith, and sister Corinne. 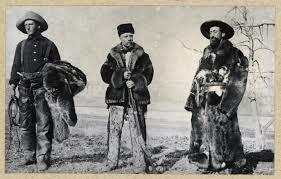 TR gradually gained respect of the locals as a cattle rancher and used total physical immersion to dispel his grief. "Black care rarely sits behind a rider who is fast enough," he wrote. The time in the West helped him transcend loss, shed Northeast trappings and, he believed, made him the man who could be president. His coiled fist, shown below, trademarked his tightly wound ambition. 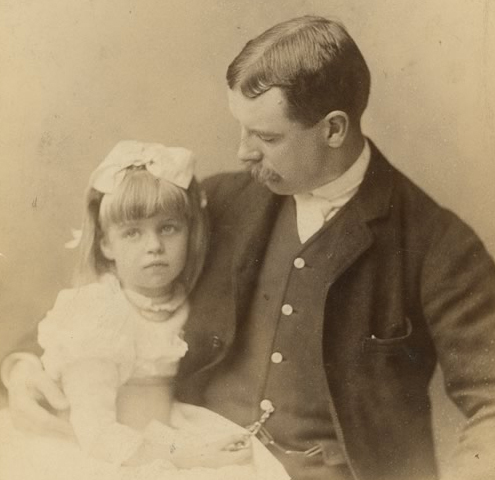 Eleanor's cousin Franklin, of the Democratic Hyde Park Roosevelts, had been a serious only child, overly-doted on by his mother. 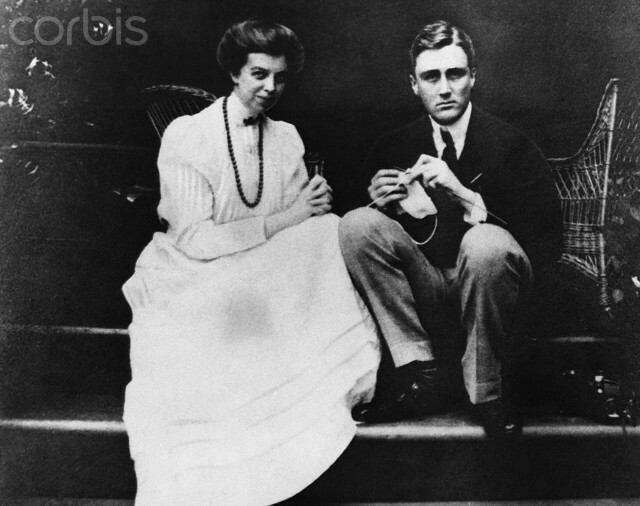 FDR and Eleanor met on a train and married at 20 and 22. As the story of their marriage unfolds, it suggests that their intellectual interests drew them together, not emotional compatibility. Franklin, the center of his own universe, had been lavished with love and support; Eleanor was herself too needy to dote on him or her children (she bore 6). Franklin's mother ran the household. Although not soul-mates, a loyal political partnership grew in which Eleanor later remade the office of First Lady. She became her husband's counselor and conscience, pressing him for social legislation, protections for the elderly and infirm, worker benefits, civil rights and opposing Japanese internment during WWII. There was plenty of blow-back from conservatives incensed at her views and that they came from a woman. Following Eleanor's discovery of Franklin's attachment to her personal secretary, Lucy Mercer, the first couple renegotiated their relationship; their domestic spheres grew more separate while they remained politically conjoined -- as one imagines royal and upper class unions made for political reasons. Franklin had long relationships with women in his employ for whom he was their only cause. Eleanor sought companionship with men and like-minded feminist women, including one much reported relationship with a woman reporter who lived in the White House for a time. Still the first couple presented a united front. FDR followed his cousin TR's path to the White House. They both served in the NY State legislature, as asst secretary of the Navy, as governor of New York, and then as president. FDR's vociferous opposition to Herbert Hoover's laissez-faire response to the depression led him to promise "relief, recovery and reform" -- a "New Deal" for the American public.The Tennessee Valley Authority (TVA) led to jobs building dams; The Works Progress Admin (WPA) created jobs building streets, parks, libraries, and schools. Social Security remains a backbone for seniors and the disabled. Bank regulations insured checking accounts and reduced speculation, minimum wages and work rules were set for workers. Isolationism stopped FDR from entering WWII, but he wanted to, finding inventive ways to assist the Allies with military supplies and equipment lease. Depriving Japan of access to oil led to its attack on Pearl Harbor, turning public opinion around. From that moment he and Winston Churchill became the right men for the right time. 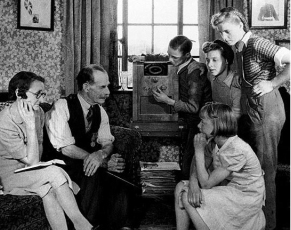 FDR's radio talks (known as Fireside Chats and shown being listened to eagerly, above and below) led him to become the pastor of the nation -- the Chat preceding D Day reached likely 100 million listeners and was one of the largest moments of mass prayer in human history, comments biographer Jon Meacham. The oldest member of the D Day invasion was General Theodore Roosevelt, Jr, the son of TR, who died a month later of a massive heart attack and was awarded the Medal of Honor, posthumously. TR's pilot son Quentin was shot down and killed during WWI. FDR's son Elliot flew 300 missions in WWII. Yet the Roosevelts were hammered in the press as much as our own leaders. Nepotism was one charge and snipers accused Eleanor of wasting money on her progressive causes. Accusations of communism/socialism dogged them. Bad-mouthing has its own notorious tradition even enveloping the Roosevelts whom most now revere as icons. 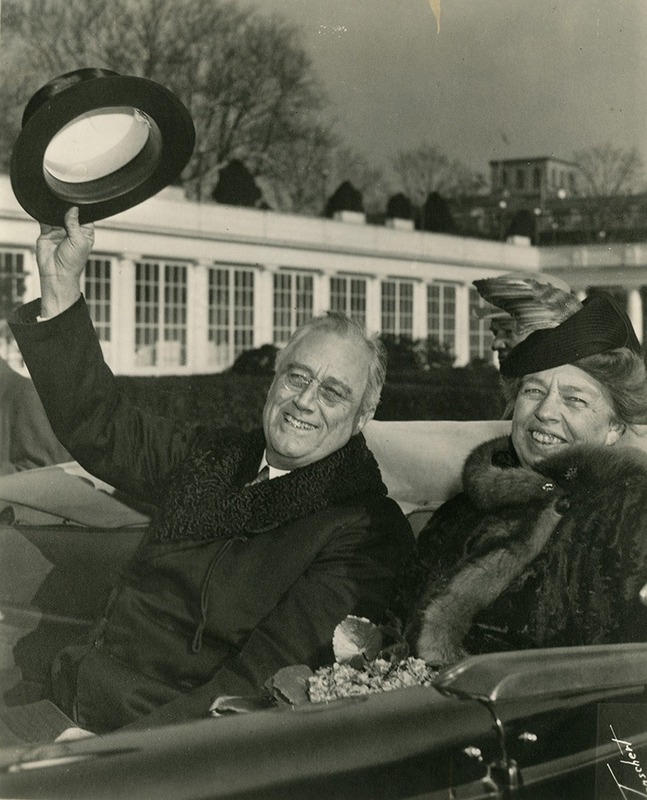 FDR, a smoker with a heart condition, died of a cerebral hemorrhage after his 4th election to the presidency in 1945 leaving Harry Truman at the helm. TR died in his sleep in his bed in 1919 of an embolism, having aged beyond his years after an expedition on the Amazon. Eleanor died in 1962 of TB and other ailments, having been a delegate and instrumental in the creation of the United Nations Universal Declaration of Human Rights. Harry Truman called her the First Lady of the World. Altogether a memorable catch-up on public affairs of the 20th century, this series makes one forget that its medium combines old photographs and rare film clips, the subject matter portrayed by historians. A book, including some 800 pictures (the cover is shown above) accompanies the documentary. A gallery of pictures from the series can be found here. 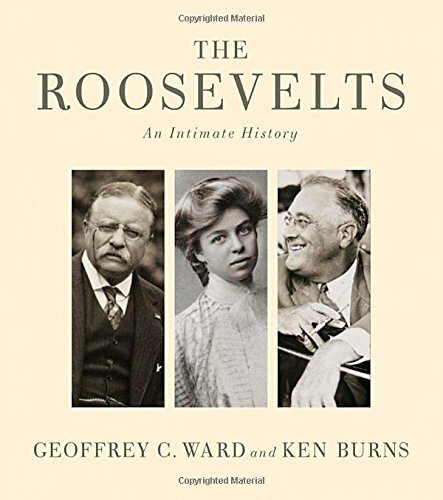 Available on disc and sure to be rebroadcast, Ken Burns' The Roosevelts is likely to receive notice during the coming awards season.